The General Delegation of the Alliance Française in Canada thanks its partners. Their financial and logistical support and sound advice have made it possible for the Canadian Alliances Françaises to achieve their goals and objectives. 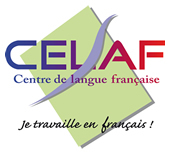 The French institutions and Canadian associations which support Alliances Françaises are a demonstration of francophone solidarity and the special connection between Canada and France. As a part of the local cultural sphere, every Alliance Française has built lasting partnerships with local institutions and organizations. To learn more about these partners, please visit their websites.